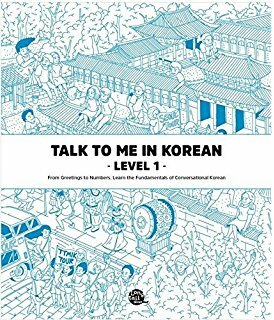 If you would like to take your Korean studies further from just the basic vocabulary we teach here, here are some Korean books we recommend to get you started. We have wrote a review of each one to let you know the pros and cons of each. This series is probably by far one of my favorite as I feel like it has everything needed for those beginners just starting to learn the language. Even though I could already read well and knew most of the basic info, I still found useful content within the book. A good positive is that it doesn’t jump into complex concepts and confuse you at the beginning. Right off the bat, he gives you some good tips on how to use the book and learn the language. I’ve used many of these tips with great success. You also get some good history on the country itself and the origin of Hangul (and how to write it properly). I always think it’s important to also learn the culture of the country’s language you’re learning as it explains a lot of little details here and there and how the people talk. There are also basic grammar points in the book (yes I know grammar boring booo), but learning grammar also helps grasp a lot of the concepts presented in the book. 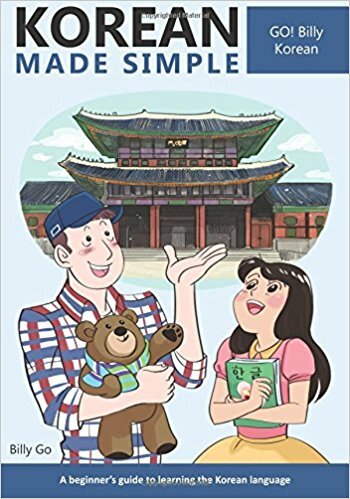 All in all, this is probably one of the best books you could start with on your Korean journey. There are 3 books in the series, so start with the first book, and if you are satisfied, buy the next level and so on. Or buy all 3 levels at once if you want. There are also free audio files on the website to help you listen and pronounce the lessons in the book. This is my second go to book when recommending books for beginners. Everything here is very well laid out and easy to read and the accompanying workbook helps you checkup what you’ve learned in the textbook. 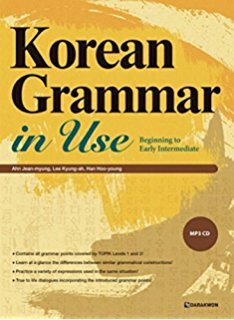 By far my favorite book on Korean grammar. I still open it up from time to time to brush up on some little things about a grammar point I may have forgotten. What I really like about this book if that it is colorful and not boring. I’ve found most grammar books to take something like grammar and make it even more boring by having nothing but black and white pages for you to flip through. In this book, you will find colorful illustrations and helpful exercises at the end of each lesson to reinforce what you’ve learned. Each lesson also piggybacks off the previous lesson so you’re not just learning random concepts all over the place. You also get some basic vocabulary with all of the lessons. Also, even though we use romanization a lot for beginners on this site, you won’t find it a lot in this book, which I like. 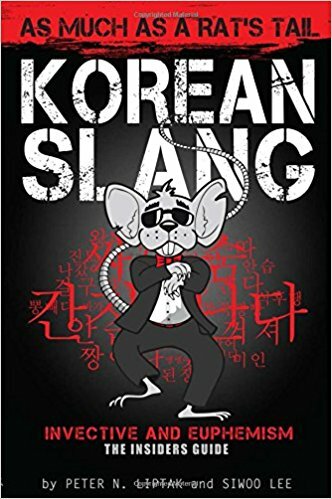 You will only see it for the actual slang terms and not the example sentences so knowing how to read and pronounce Hangul would be helpful. We may earn a small commission for our endorsement of these books. However, we were not personally asked to do these reviews. We bought the books ourselves and have used them and have given our honest recommendation of the books. Your purchase helps support my work in continuing to bring you great infographics and ebooks related to Korean and Korean Culture.